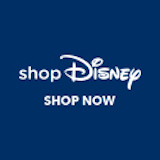 Selling DVC - Selling DVC - DVCNews.com - The essential Disney Vacation Club resource! Can Disney Vacation Club contracts be sold or transferred to a new owner? Yes, of course. A Disney Vacation Club contract is a deeded real estate holding. With the consent of the owner(s), any DVC contract can be sold, given away or otherwise conveyed to a new owner. Note that Florida law requires that all property owners be at least 18 years of age. A minor child cannot be listed as an owner of a Florida-based DVC contract. Can you describe the actual sale process? What is Right of First Refusal (or ROFR)? All Disney Vacation Club contracts include a "Right of First Refusal" clause. This gives Disney the option to review all pending transfers-of-ownership and to actually purchase the contract from the seller at the agreed-upon terms if they so desire. In a typical sale the buyer and seller will reach an agreement on a price for the DVC contract. Their written agreement goes to Disney for review. Disney has the option to buy the contract at the exact terms agreed-to by the buyer and seller. When Right of First Refusal is invoked, the seller receives payment from Disney instead of the prospective buyer. If the buyer wishes to pursue another listing they can apply their deposit to the new property or the deposit can be refunded. Disney has up to 30 days to invoke its Right of First Refusal or to pass on the contract. Do I need a broker to sell my points? No, a broker or agent is not required. However a seller who chooses to work without a broker must manage his / her own sale through the transfer process. Steps include finding a buyer, writing-up a purchase agreement, submitting the agreement to Disney for its Right of First Refusal and completing the closing. What if I want to sell or give the points to a friend or relative? In the case of gratiuitous transfers (no money involved) or a sale to an immediate relative, Disney Vacation Club has been known to immediately waive its Right of First Refusal. Contact Disney Vacation Club for guideance on this process. The legal transfer of ownership must still occur. Those unfamiliar with the process may wish to seek legal assistance. What if I have an outstanding mortgage on the contract? If the purchase of the points was financed through Disney Vacation Club, the loan must be paid off before ownership can be transferred. The net proceeds of the sale (after broker commission and fees) must at least cover the amount due on the loan. Or the seller must pay the difference at the closing. Annual dues for the current calendar year must also be paid in full prior to any transfer of ownership. However, the seller can ask that the purchaser reimburse him / her for current year dues as a term of the sale. I have a vacation scheduled several months from now using the points. Can I still sell now and keep that reservation? When a transfer of ownership occurs all pending reservations are cancelled. So no, an owner cannot sell a contract and still keep a reservation made with those points which would occur after the closing. However, the seller could list the contract for sale with a stipulation that the closing can only occur after the final vacation has taken place. The buyer will not receive payment until after the delayed closing has occurred and this approach may negatively impact buyer interest in the contact. Anxious buyers may be unwilling to agree to a delayed closing which would add weeks or months to their own purchase timeline. How do I set a price for my points? A review of resale listings will typically reveal a range of asking prices for a given Disney Vacation Club resort. Listings which include the current year points intact as well as some banked points from the prior Use Year will command a premium price. Listings with no current points and some points from the next Use Year borrowed are not as appealing to buyers. Additionally smaller contracts--especially contracts of 100 or fewer points--can often command a premium asking price due to their high demand. Larger contracts have fewer intersted buyers and the per-point price may need to be discounted. Ultimately buyers can ask whatever price they wish. Asking an inappropriately high price may result in little interest from buyers. A low asking price can lead to a quick transaction for those desperate to sell. Is there a good time or a bad time to sell DVC points? Resale value of Disney Vacation Club contracts is never guaranteed. Any variety of factors can impact market prices including new resort announcements, DVC policy changes and the state of the economy. Generally speaking, seller demand reaches its peak in January - April after annual dues notices arrive. The volume of contracts hitting the market is noticeably larger than during the rest of the year. This can have a negative impact on seller asking prices. Are there fees or commission paid to a broker when used? Yes. Broker commission on a Disney Vacation Club contract resale typically runs 10-15% of the agreed-upon purchase price. Commission is deducted from the proceeds before funds are remitted to the seller. To illustrate, if a buyer and seller agree to a $10,000 price and the broker is due 10% commission, the seller can expect to receive about $9,000. Any other closing costs or fees which the seller agrees to pay would also be deducted from their proceeds. Sellers should avoid any brokers, agents or services which ask for an up-front fee associated with a timeshare sale. What sort of closing costs and fees are involved in a sale? Closing costs and other fees will vary depending upon the broker / method used, location of the resort being sold and even the size of the contract. Can I list my DVC points with more than one broker? Many brokers including The Timeshare Store, Inc.® use so-called "open listings" which do not grant exclusivity to any one broker. As long as all of the agreements are for open listings, a seller can list with as many brokers as they wish. When listing with multiple brokers, commissions are typically paid only to the broker locates a buyer for the contract. Review the compensation details of all broker agreements before signing. Buyers should give careful consideration before agreeing to an exclusive listing with any one broker. Doing so may limit exposure of the contract and delay the sale process.